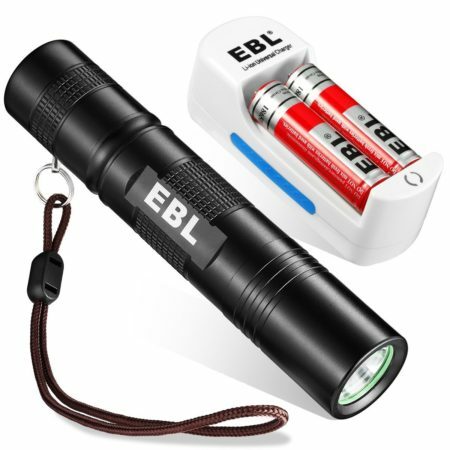 Compact EBL Tactical Pocket flashlight serves all of your purposes from a daily carry torch to a outdoor emergency light, which is perfectly suited to military, recreational and home use. 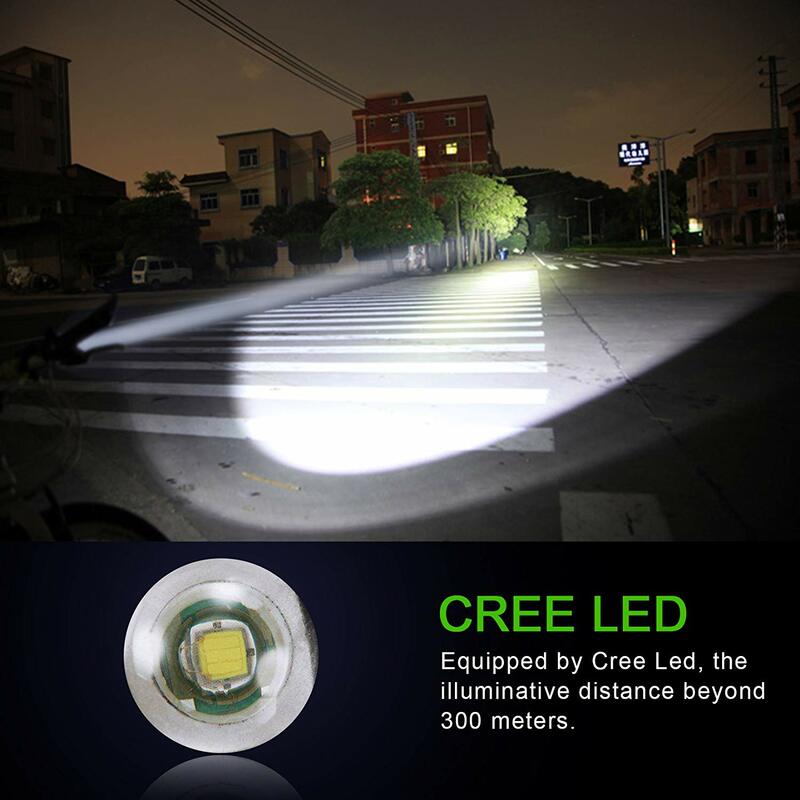 Thanks to advanced CREE chip, its 350-lumen output provides a bright lighting to reach a distance of up to 300 meters, it also offers 5 lighting modes based on your experiences and a push-button is designed for a simple and flexible operation, comes with aluminium alloy body, it is made to be water-proof and dop-proof, ensuring a long lifespan without performance reduced. 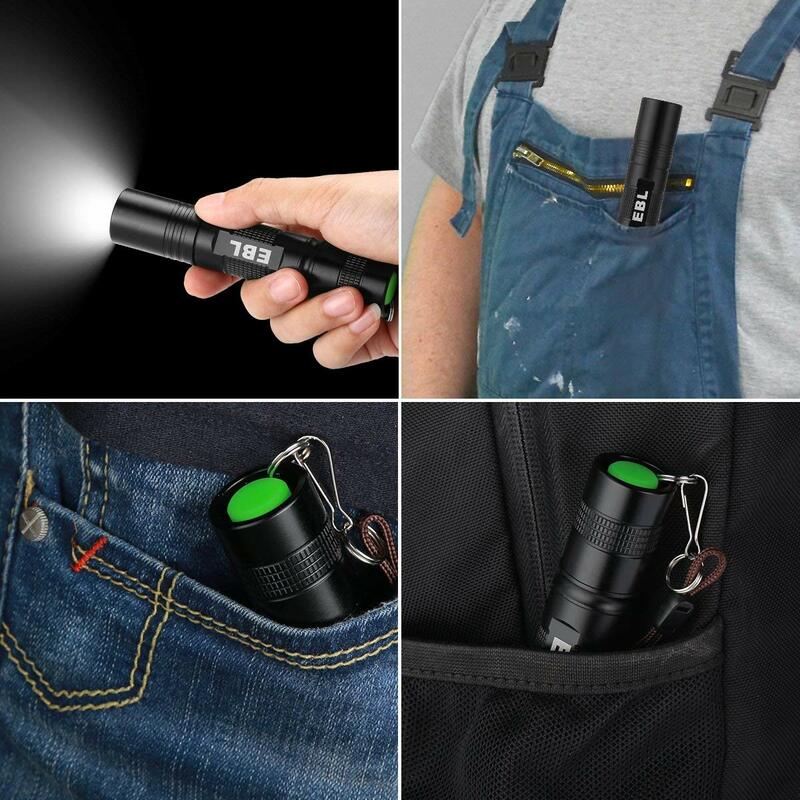 Tiny & Powerful Flashlight: It measures only 4.6*0.94 inches and weighs only 2 oz, which takes a small footprints, just stuff it into your lapel or jeans pocket. 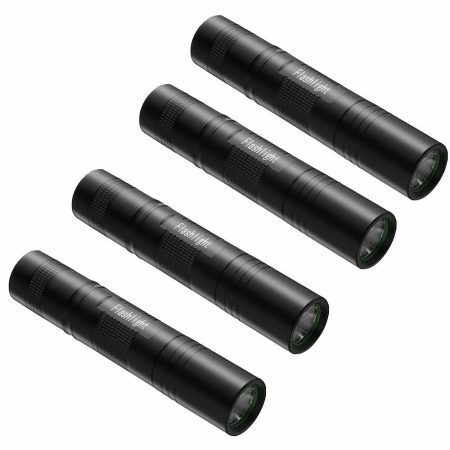 Ultra mini flashlight is ideal item for your outdoor activities like camping, hiking and more. 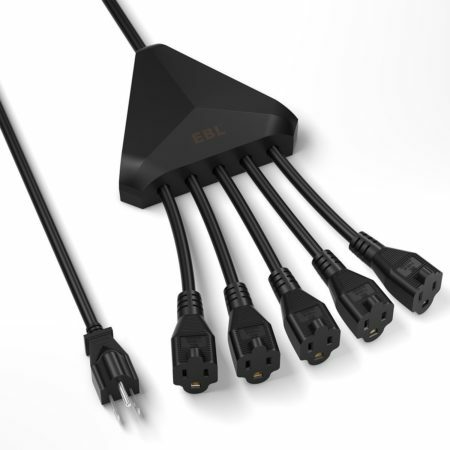 Easy Switch among 5 Modes: Choose suitable lighting modes with a button on the bottom, High, Medium, Low, Strobe and SOS will be switched in turn. Easy operation always serve you in need. 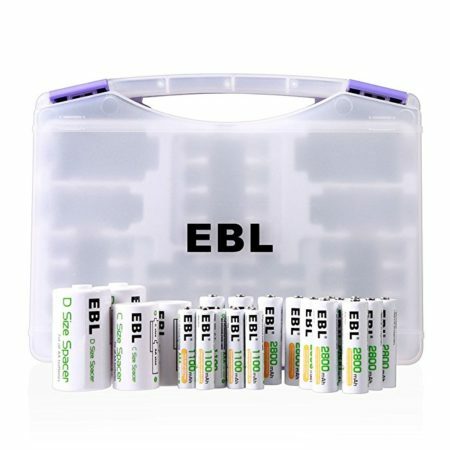 Wide Compatibility: EBL High reliability Tiny Flashlight Compatible for ALL brand 18650 batteries. 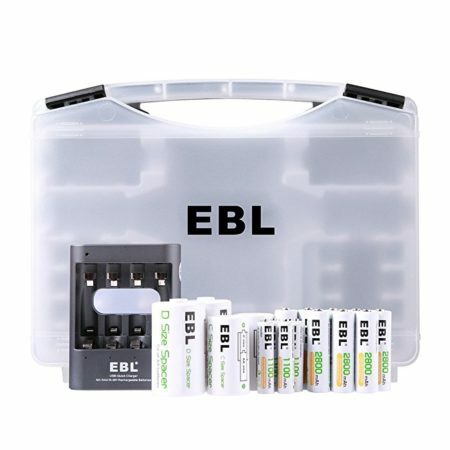 It Can be use in anywhere & anytime. 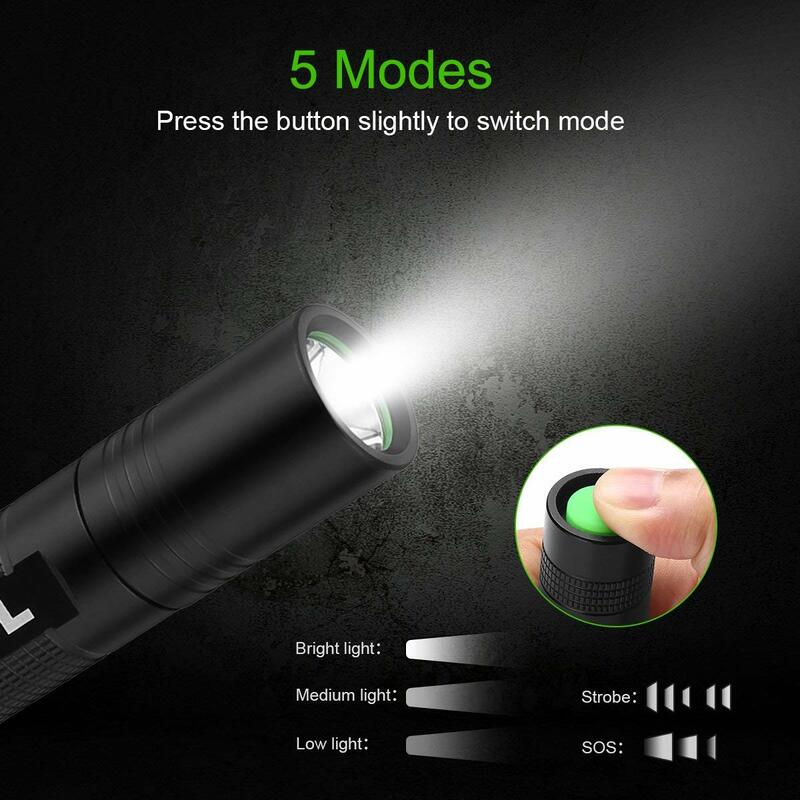 Powerful Flashlight: Aluminum alloy-made item is equipped American CREE chip, which is able to emit bright lights of up to 350lumens and a respectable distance reaching 300 meters away , also able to last 100000 hours of lighting with 18560 battery inside. 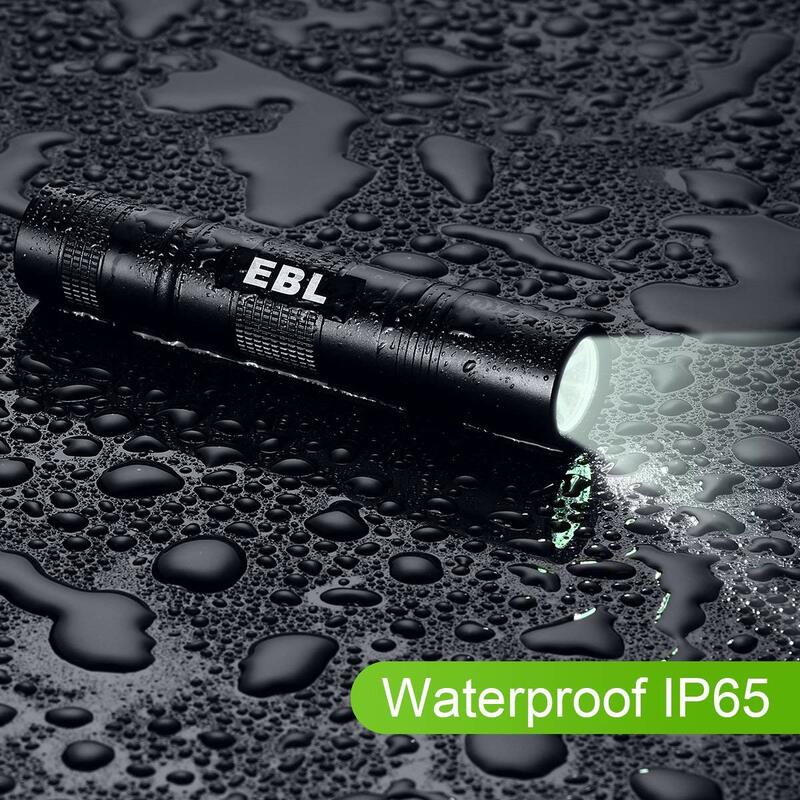 Durable and Waterproof Flashlight: IP65 waterproof feature makes it handle with drop test and lighting test with ease to ensure high quality for everyone.